Young Nasreen has not spoken a word to anyone since her parents disappeared. 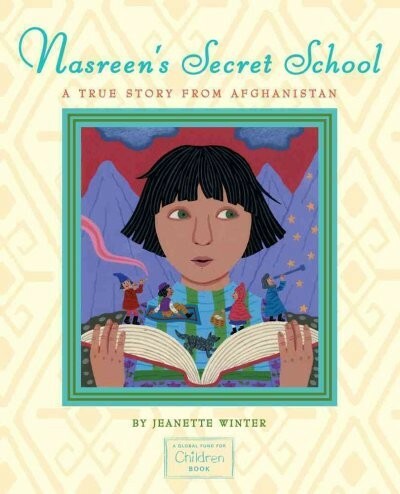 In despair, her grandmother risks everything to enroll Nasreen in a secret school for girls. Will a devoted teacher, a new friend, and the worlds she discovers in books be enough to draw Nasreen out of her shell of sadness? 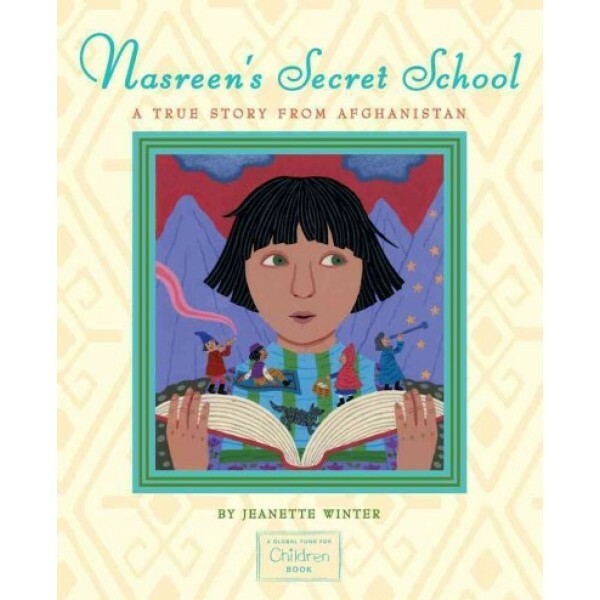 Jeanette Winter is the acclaimed author/illustrator of many highly-regarded picture books, including Bibloburro, Nasreen's Secret School, The Librarian of Basra: A True Story from Iraq; Mama: A True Story in which a Baby Hippo Loses his Mama During a Tsunami, but Finds a New Home, and a New Mama; and Wangari's Trees of Peace: A True Story from Africa. She lives with her husband, artist Roger Winter, in New York.